About: A liver shunt is an abnormal connection between the portal vein and the liver which allows blood to shunt around the liver. 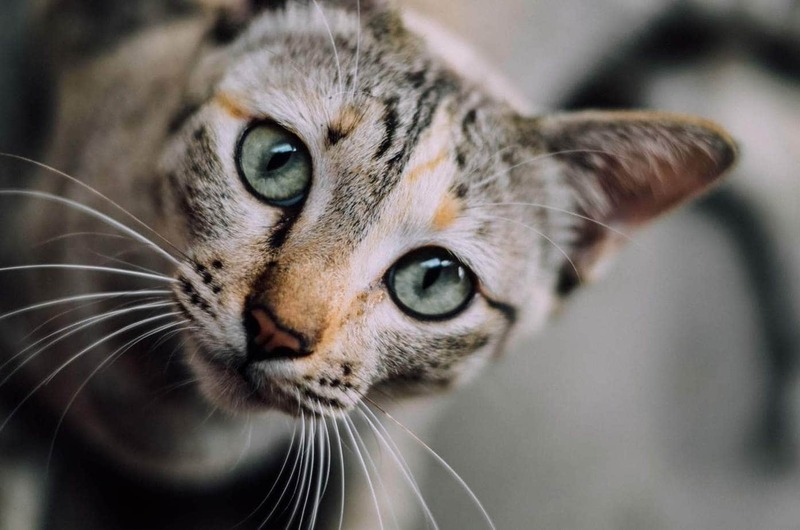 As the liver is responsible for detoxifying the blood and processing nutrients, cats with a liver shunt will build up in the blood, which leads to hepatic encephalopathy as well as stunted growth due to a lack of stored energy compounds. Causes: Most liver shunts are congenital, which means they are present at birth. Treatment: Surgery to correct the shunt. A liver shunt (portosystemic or hepatic shunt) is an abnormal vascular connection between the portal vein and the liver. Usually, the portal vein transports blood from the gastrointestinal tract, spleen, gallbladder, pancreas, and stomach to the liver, whose role is to act as the cat’s waste treatment plant. Shunts occur when the fetal blood vessels (which bypass the liver during development) fail to close. The blood arriving via the portal vein is rich in nutrients extracted from the food as well as bacteria, toxins (and drugs) your cat has eaten and hormones produced by various glands in the cat’s body. The liver processes these nutrients, toxins/drugs, and hormones before releasing the blood to the rest of the body via the hepatic vein, into the vena cava and up to the heart which then circulates it around the body. Due to the lack of normal detoxification, toxic substances build up in the bloodstream and circulate through the body. Some of these are toxic to the brain (known as neurotoxins). Ammonia is a neurotoxin which can cross the blood-brain barrier, as well as that; it is also believed it increases blood-brain barrier permeability which allows other toxins such as phenols and bile salts to enter the brain, resulting in central nervous system dysfunction (hepatic encephalopathy). Cats with a liver shunt are not able to store energy compounds, which results in stunted growth. The lack of nutrients in the blood which would typically go to the liver also affects normal liver growth, the liver is small (hypoplastic), which further adds to the problem. Portosystemic shunts may be congenital (present at birth) or acquired (occurring as a result of secondary liver conditions), almost all shunts in cats are congenital who typically demonstrate clinical signs within 12 months of age. Persians, Himalayans, and Siamese are over-represented, and it is seen more commonly in males. Shunts may be intrahepatic or extrahepatic. Intrahepatic shunts are inside the liver; extrahepatic shunts are on the outside of the liver. Cats are more prone to developing extrahepatic shunts. There is no connection between the portal vein (bottom) and the hepatic vein (top). Blood reaches the liver via the portal vein where it is detoxified exiting the liver via the hepatic vein and into the systemic circulation. Shows an abnormal connection between the portal vein and the hepatic vein inside the liver, meaning the blood bypasses normal detoxification. This image shows an abnormal connection located outside the liver which shunts blood directly to the vena cava, avoiding normal detoxification. Your veterinarian will perform a complete physical examination of your cat and obtain a medical history from you. There may be a history of prolonged recovery after anesthesia, or the pet owner/veterinarian may have noticed the cat is on the small size or losing weight. This test usually returns normal results. Sometimes it will reveal abnormal small red blood cells (microcytosis) and non-regenerative anemia. This may reveal slightly elevated alanine aminotransferase (ALT), a liver enzyme, decreased BUN (blood urea nitrogen), hypoglycemia (low blood sugar), hypoalbuminemia (low albumin), hypoproteinemia (low blood protein levels), hyperglobulinemia (low levels of globulin), hypocholesterolemia (low cholesterol). May reveal the presence of ammonium biurate crystals and possibly diluted urine. If this is the case, there may also be blood (hematuria), protein (proteinuria) and pus in the urine (pyuria). The veterinarian collects a blood sample (resting sample) to establish a baseline. The cat eats a meal, and two hours later the veterinarian takes a second blood sample. When a cat eats, bile (which is secreted by the liver and stored in the gallbladder until needed) is released into the small intestine to help with the digestion of lipids (fats). The intestines absorb bile and return by the portal vein to the liver where it is removed from the bloodstream. This doesn’t occur as it should in the cat with PSS, and the bile acid test will reveal high levels of bile acids in the blood. May reveal the abnormal vessel(s). Not all abnormal vessels may be visible via this method, with intrahepatic vessels more visible than extrahepatic vessels. Ammonium biurate stones may be visible in the bladder during the ultrasound. May reveal an abnormally small liver (microhepatica), sometimes the kidneys will be enlarged. To reveal intrahepatic shunts. Injection of a contrast dye into one of the veins which drain into the portal vein, followed by an x-ray to evaluate the abnormal vessels. The surgeon makes an incision in the abdomen and views the liver. Advantages of this procedure are that the treatment can occur during the procedure. The treatment of choice is surgery to cure the condition. It may be necessary to stabilise the cat before surgery so he can physically cope with anesthesia as well as treat hepatic encephalopathy. The goal is to decrease the production of ammonia and its absorption from the intestine and make your cat well enough to undergo anesthesia and surgery. Antibiotics such as neomycin to reduce the number of ammonia causing bacteria. IV fluids to correct dehydration. Lactulose administration. This laxative medication lowers levels of ammonia in the bloodstream. Feeding a high-quality diet which is low in protein. The benefit of surgery is there is usually a better outcome for the cat as well as removing the need for ongoing medical treatment in cats who don’t have the surgery. The downside is that it can be expensive. Surgical ligation: Tying off the blood vessel redirecting blood to the liver. Extrahepatic shunts are more accessible surgically than intrahepatic shunts due to their location. If surgery is not possible, or if the owner can not afford surgery, medical management will be necessary. This is similar to the treatment prescribed when stabilising your cat. The long-term survival rate of cats managed this way is between 2 months to 2 years. Medical management is palliative and not curative. Low protein prescription diet: Ammonia comes from the breakdown of proteins and amino acids in the gut, therefore a low-protein diet can help to lower ammonia levels. Antibiotics: To reduce the number of ammonia causing bacteria in the colon. Enemas: An injection of fluid into the lower bowel to reduce ammonia levels. Lactulose: To lower levels of ammonia in the bloodstream. Intravenous fluids: If the cat is dehydrated, fluids which will be given intravenously or subcutaneously (under the skin). What Age Can A Kitten Leave Its Mother?